Rub fish fillets with salt and pepper. Place a wax or baking paper to line the steamer, leave some vents on the sides (this prevents fish from sticking) then place fish on top of it. Top fish with some ginger slices then steam for 10 minutes or until fish is cooked. Set it aside. Combine all Light Soy Sauce ingredients in a saucepan, bring it to a boil then turn heat off. 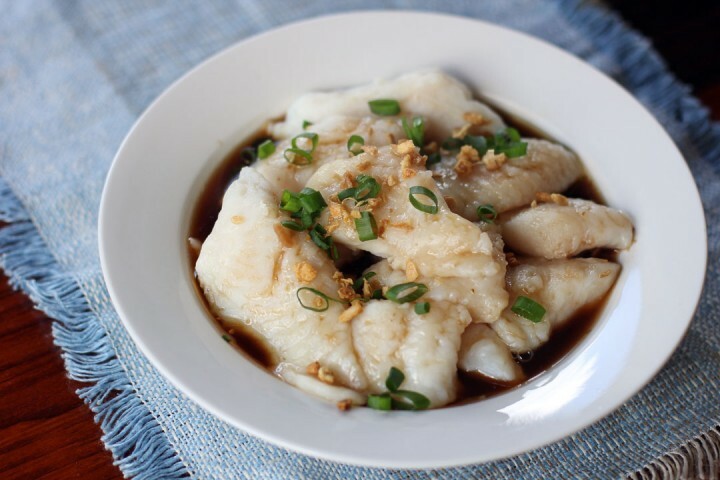 Place fish in a deep dish then pour sauce over it, drizzle sesame oil on top then garnish with Fried Garlic and Spring Onions.